Wishing You an Epic Holiday Season & 2018! 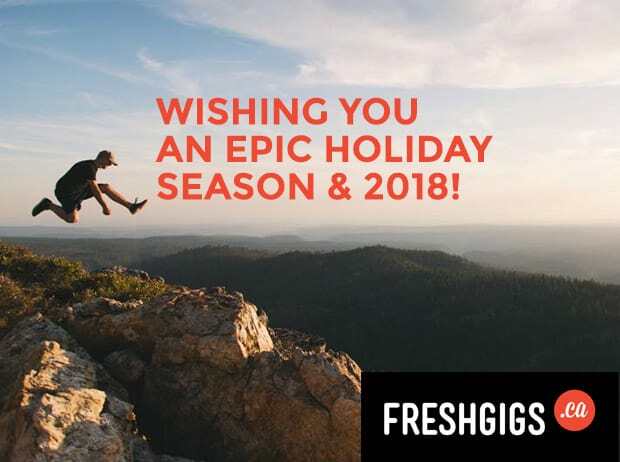 The team at FreshGigs.ca would like to wish you all, a very happy holidays and an epic New Year! We wanted to take a moment to show our gratitude and send our warmest wishes to you, our community. We hope you are enjoying this magical time of year to recharge, spend time with friends and family, and to make plans for the year ahead. 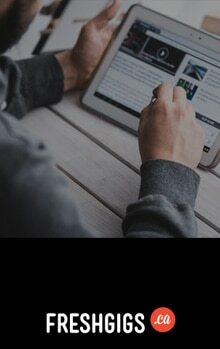 We will continue to work hard in 2018 to make FreshGigs.ca the best place in Canada to find marketing and creative jobs and for employers to find unique talent. We really hope your 2018 is as amazing as you are!